At the end of last year, the fifth grade at our school found themselves with some extra money in their activity budget due to all the generous donations of parents and Box Tops for Education. 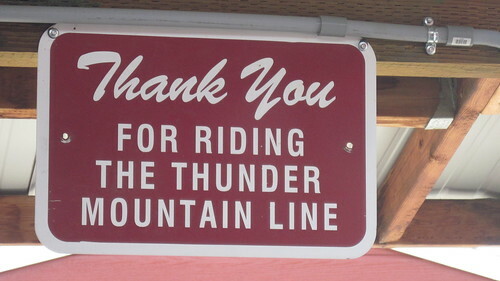 They decided to take the kids on a field trip for a half-day ride on the Thunder Mountain Line railroad. 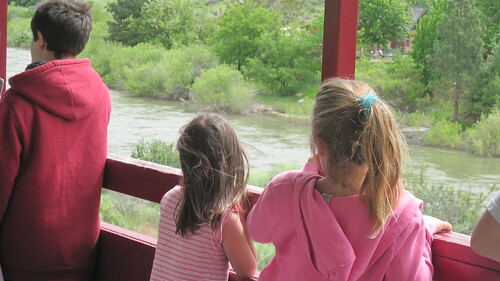 This train starts in the tiny town of Horseshoe Bend, Idaho and winds along the Payette River. The best part about the trip? Family members were invited at the discounted price, too! My oldest son was out of school already, being on a different calendar than his sisters, and I pulled my second grader out of school for the field trip so she didn't have to miss out. I was able to take all five kids and myself on the trip for about $60, which is so, so much cheaper than their regular prices. 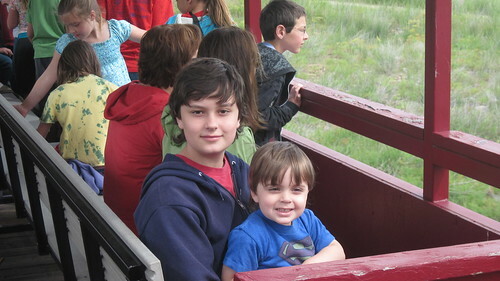 We had a great time riding the train! It was definitely worth the money and I would probably splurge on the trip with out-of-town guests who really want to see the Idaho mountains.